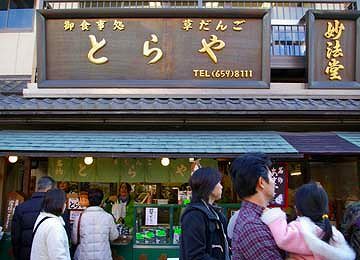 Shibamata Taishakuten, formally called Daikyoji, was founded in 1629 as a Nichiren-sect Buddhist temple. The temple became popular among people in 18th century when a priest of the temple walked around Edo with a figure of Taishakuten which Nichiren himself made, and saved many people who suffered from epidemics and starvation by power of the figure. 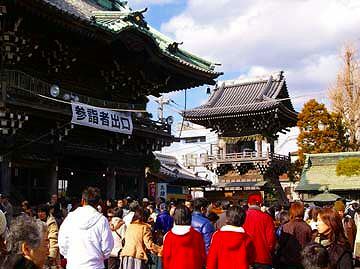 Since then, the temple has been called Taishakuten. 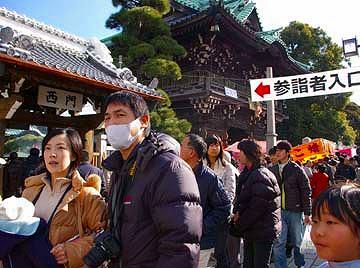 The temple became famous again all around Japan thanks to a series of movie titled “Otoko-wa-tsuraiyo”-It’s tough to be a guy. The temple and the town around it was the main stage of the drama and the hero of the drama, Torasan-Tiger kid, was loved by all of Japanese people. 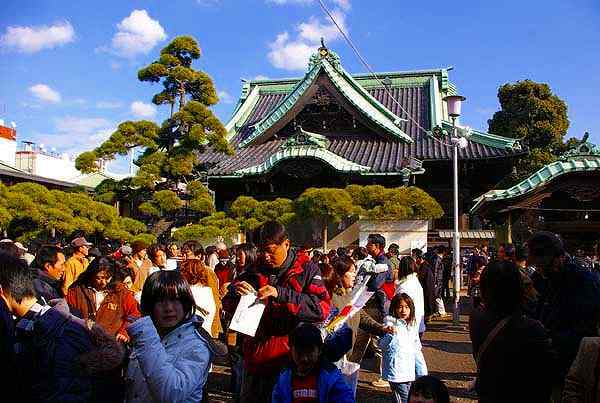 Many people visit the temple during earlier days of January every year for New Year worship. 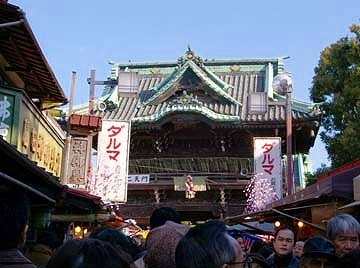 The temple is located in the north-east area of Tokyo near Shibamata station of Keisei railway line. At the far end of the approach way stands Nitenmon, the main gate of the temple. 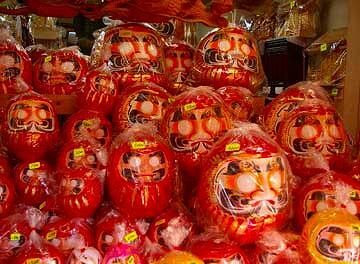 The blank eyed round figures are Daruma which are believed to bring happiness. 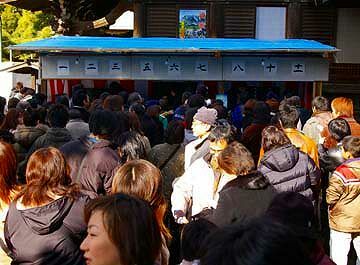 People making rows are looking for Omikuji, a piece of paper telling fortunes. 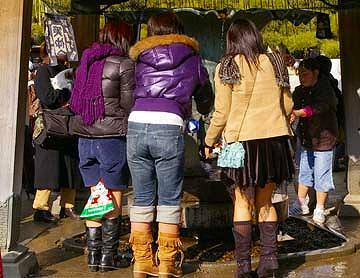 The girls are washing their hands before worship. 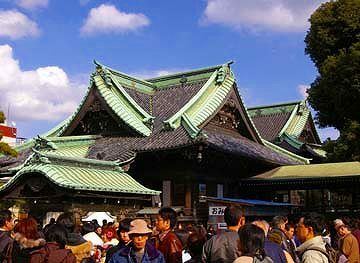 Most of the buildings were built during Meiji era.